Hello Everyone, I go by Chris, or Shadow. My pronouns are they/them but I won't make a big deal if you use he or she. I work Night Shift at a Hotel, so I tend to sleep during the day and stay up all night. I have been playing Sims 2 since it came out and it is still my favorite of the Sims games. 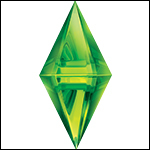 I have played a little bit of Sims 3 and Sims 4 but it wasn't the same of Sims 2. I also Play SimCity 4, and SimCity (2013 I think) among other games. I love to create neighborhoods that have strong Japanese and Native American Themes. All of my Neighborhoods in my game follow the same Worldbuilding rules (based off of a non-sims story I'm working on; I'll go more into that at a later time). I call my world Lenmana. As for Custom Content: I have created some SC4 terrains, school uniforms and some other clothing (recolors actually), recolored some makeup and facemasks, I love creating lots that fit my neighborhood's theme, a Multi PT mod, and some of my own eyes that I have defaulted for my game. I would love to learn how to create objects, I haven't gotten that far yet. I haven't really uploaded anything (I tried MTS2 but kept getting rejected). I have a couple Sims stories and projects I am also working on (a legacy, a story, and I have a 'hood with "Celebrity" Sims of which I'm posing to create fictional band and movie posters, as well as "Scenes" from concerts and fictional TV Shows and Movies with Photoshop). So nice to meet you all! Hi Chris. Welcome to Make My Sims Real! I hope you like it here. Thank you for such a nice (and long!) introduction, it's a delight to know more about you. It's a shame you got rejected on ModTheSims. I tell you what, you're most welcome to post your creations here! Just create your topic here. When you have some, I'll be able to give you your own board if you want. Where do you post your stories? I'd be nice to see them. I love sims storytelling! You can also share them here. Nice to meet you @shadowgem. Let me know if I can help you with anything.